The sun is fading, the nights are drawing in and we’re debating whether or not to put on the central heating. All this can mean that Autumn is truly on the way. Time for sadness perhaps but one thing it will mean is that stores everwhere launch fabulous new collections for us style junkies to get a fix on. And B&Q is no exception. Enjoying 10 minutes peace and quiet a few days ago, I started flicking through the new catalogue. Oh my! It wasn’t long before I sat up and started to take more notice. I even got out a pencil and started circling items of delight and folding page corners for future reference. Could they really be as gorgeous as I think they are! I really do hope so. For starters there’s the cushion selection. 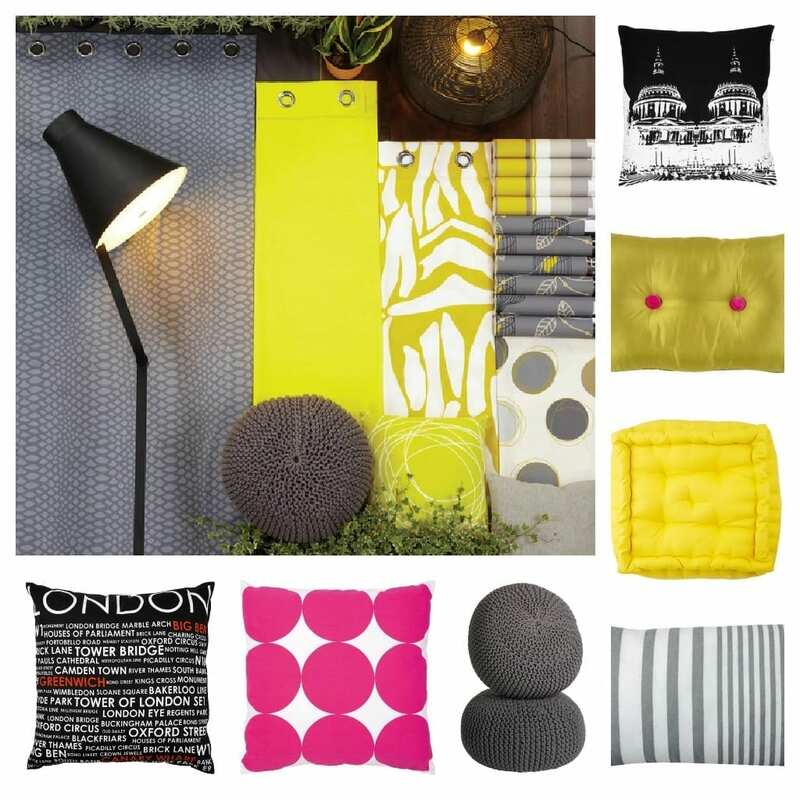 A whole collection in contemporary yellows and greys including some great floor cushions which I have my beady eye on. 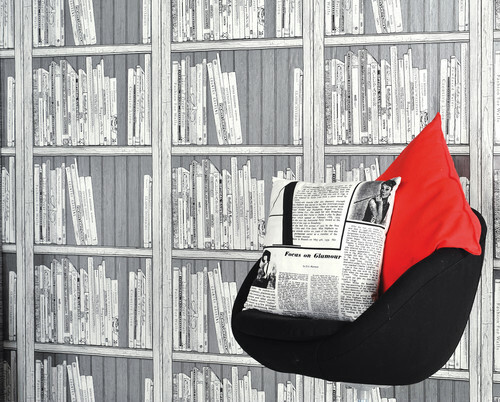 Cushions generally are less than a tenner, the floor cushions are nearer £40, but they’re bigger and bound to be more robust. Then of course, there’s fabulous lighting from standard lamps to modern and contemporary table lamps. Lighting isn’t super cheap at B&Q but it is affordable and really well designed. 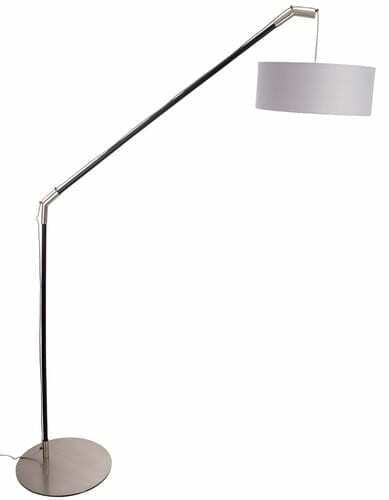 The standard lamp is £79.95 whilst the table lamps range up to around £40. I’m particularly loving the little desk lamp which sells for just £19.98. And then there’s glorious wallpaper. Lots to choose from, including some very interesting and well priced papers like this Statement Bookcase Wallpaper in Charcoal at £19.98. 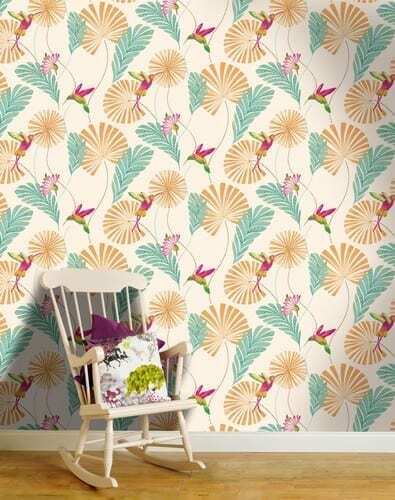 Then there’s this very pretty Hummingbird paper again at £19.98 which would look very nice in the bedroom. And finally, for a bold, fun statement take a look at this AS Creation Newspaper Black and White wallpaper, selling at £14.95. I’m sure you’ll agree there’s so much to choose from and I really do think B&Q have got their interiors and home accessories spot on this season. For us style junkies who love a bit of modern and lots of contemporary items in our homes, B&Q is definitely the place to go. Fabulous wallpaper. I wish I was brave enough to put something like that up in my house. I know what you mean, sometimes it takes a bit of courage. You can always do just one wall or alcove?